Prepping for the arrival of a new baby is a wonderful and exciting time, but can often feel overwhelming. From finding the perfect crib mattress to picking out the best stroller for your growing family, there are many important decisions and preparations to be made leading up to your little one’s arrival. The first step in prepping baby’s diaper changing station is to select a location – will baby be changed on a separate changing table or will a dresser top double as a changing station? Both are great options! Once you’ve designated where you plan to set-up baby’s changing station, measure the changing surface. You want to ensure it is at least 16” x 32” for sufficient space to fit most changing pads. Changing baby can be hectic and messy, so having an organized changing station helps keep all necessities close-by and handy! If baby’s dresser top will double as a changing pad area, designate an area in the top drawer for storing changing essentials. If you plan to purchase a separate changing table, look for one with storage space underneath. You’ll also want to consider registering for a diaper changing caddy or storage bins to help keep everything tidy. Being prepared for life’s messes is essential when changing your little one. Having plenty of diapers in your baby’s size and even a few in the next size up is essential. Some retailers offer subscription services for must-haves such as diapers to ensure you are always in-stock and ready. Also, don’t forget to purchase or register for a few multi-use liner pads to use when changing baby. Having at least two, if not more, on hand will help keep your changing pad fresh and clean, plus you can use these on-the-go as well. 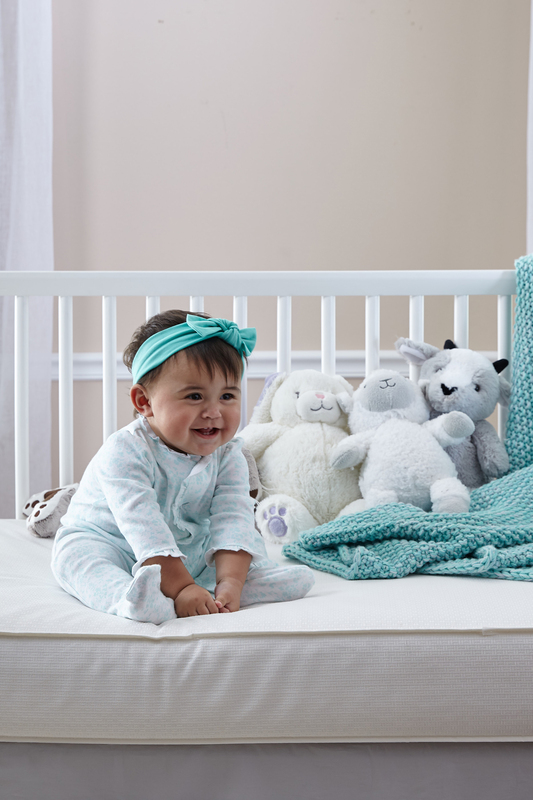 When shopping for a changing pad and accessories, it’s always important to keep safety in mind. Be sure to register for a safe and comfy changing pad. You’ll want one with a safety restraint belt, anchoring straps for securely attaching the pad to the changing surface or wall, and high, contoured edges. 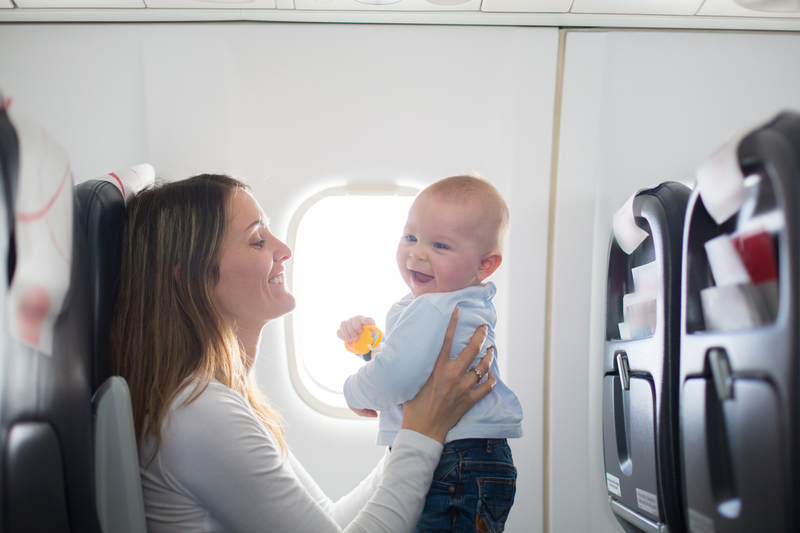 Keeping baby’s essentials close by will ensure you can always keep one hand on baby! 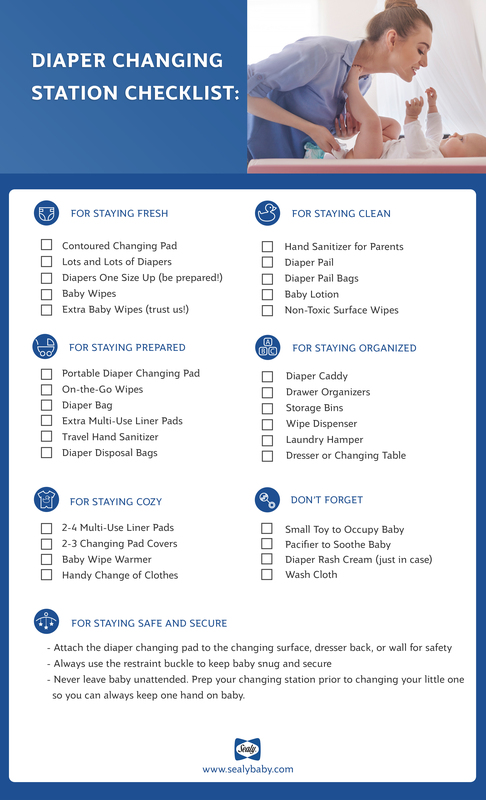 Be sure to download our baby changing station checklist to ensure you are prepped for baby’s arrival. Don’t forget to check out our nursery registry checklist too!